Sale updates and various opportunities feature. Various industrial office and retail property investment and owner occupier opportunites are on offer, as well as a significant development project. Various investment opportunites as well as news features for Cape Town based auctions. Various investor and or owner occupier commercial opportunites are avaliable at the next multi property auction in November and December. Multiple auction offers numerous opportunities including industrial and office investments. 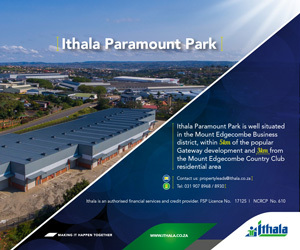 Industrial facilities feature prominently; also on offer are a number of units at the V&A Waterfront. A number of investment property assets, including a tenanted industrial park and land with development potential, will be presented at the next commercial multiple auction. Among some of the offerings at the next multiple auction is strategically located land in Mouille Point and a commercial property in the heart of the Cape Town CBD. Among some of the many offerings at the next Auction Alliance multi auction opportunity is a bank tenanted facility in Mowbray and multi student leased apartments. Various commercial and business properties will be made available to investors and owner occupiers in both Cape Town and Johannesburg; featured here are a few examples. This sizeable property features a government lease and strong covenants. Amongst the various property assets up for auction is a mixed use asset and moto showroom. Various industrial assets representing diverse investment opportunites are going to market. Two prominently situated retail properties on Grant Avenue in Norwood, Johannesburg, will be brought to auction during next month’s Commercial Multiple auction on October 27. Choppies Shopping Centre, a nationally tenanted retail centre in the Mafikeng CBD, is scheduled to fall under the auctioneers gavel during Auction Alliance’s Commercial Multiple auction on October 27.